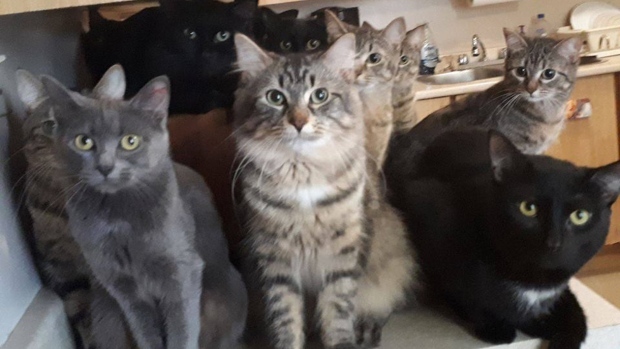 Animal groups are looking for adoptive homes for more than 100 cats after the animals were removed from a single Toronto home over the weekend. 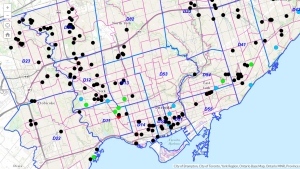 Toronto Cat Rescue, a volunteer-driven group, was notified about the situation through an online form. The organization then notified Toronto Animal Services and the Toronto Humane Society and the three groups coordinated a response. At least 105 cats have been surrendered from the home so far by the female resident, but there are additional cats that have not yet been collected. “We’re working as a team on getting them all surrendered,” Mary Lou Leiher, program manager with Toronto Animal Services, told CP24.com. She noted that current bylaws allow people to keep no more than six cats in a home. 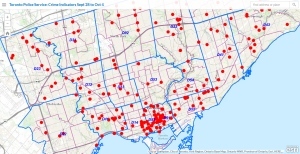 Toronto Animal Services would not say exactly where the home is or how many people live there. However Leiher said that in general, there are health concerns associated with keeping that many cats in a home. “Air quality is probably a primary concern for the person’s health,” Leiher said. The woman has been cooperative so far and most of the cats appear to be in good condition overall, she added. “We are not considering laying any charges at this time because she is being very cooperative,” Leiher said. 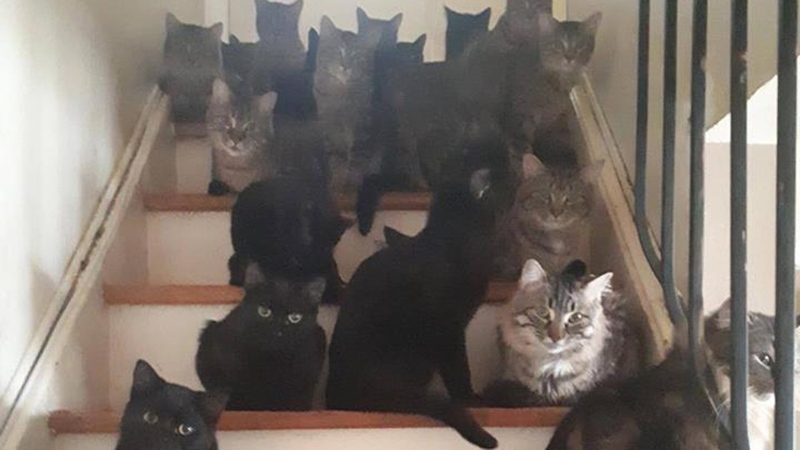 Toronto Cat Rescue Executive Director Belinda Vandersluis said that her organization has mobilized a network of dozens of volunteers in the GTA and the Kitchener-Waterloo area who are currently fostering about 50 of the cats. “Our job is to get those cats medical care, get them socialized, get them anything they need before putting them up for adoption on our website and through partner pet stores,” Vandersluis said. While none of the cats have tested positive for any serious diseases, she said many of them are being treated for fleas, worms and fur loss and are being socialized to adapt to a situation where they are not living with dozens of other cats. She said all the cats will be spayed or neutered before being put up for adoption. Some of the cats taken by the other organizations are being kept in shelters until new homes can be found for them and some of the cats taken by Toronto Animal Services have already been adopted. Vandersluis described the situation as a case of “hoarding” rather than intentional animal cruelty or neglect. 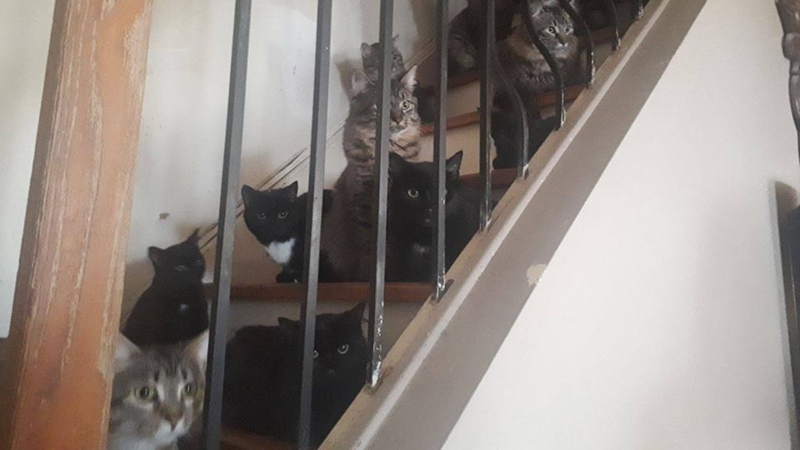 While the case is unusual, situations where this many animals are found in a single home occur from time to time in the city. Vandersluis said the case is a cautionary tale about what can happen if you don’t get your animals fixed. “If you do not spay or neuter your cats, they can have two or three litters a year. It can happen very quickly,” she said. Leiher said anyone who becomes aware of a situation where a large number of animals are living in a single home should call 311.